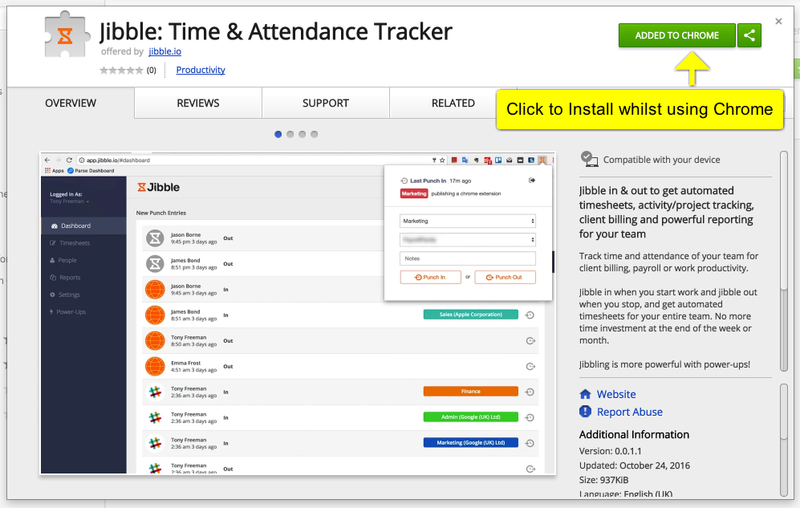 You can track time quick and easy using the Jibble Browser Extension available on the Chrome Web Store. Installing this will enable you to quickly Jibble In for activities/projects without leaving your current browser tab. It's so simple to use instructions are not necessary if you've already used Jibble. Make sure you setup your Activities first using the Activity Tracking Power-up and then simply login once and your session will be saved.